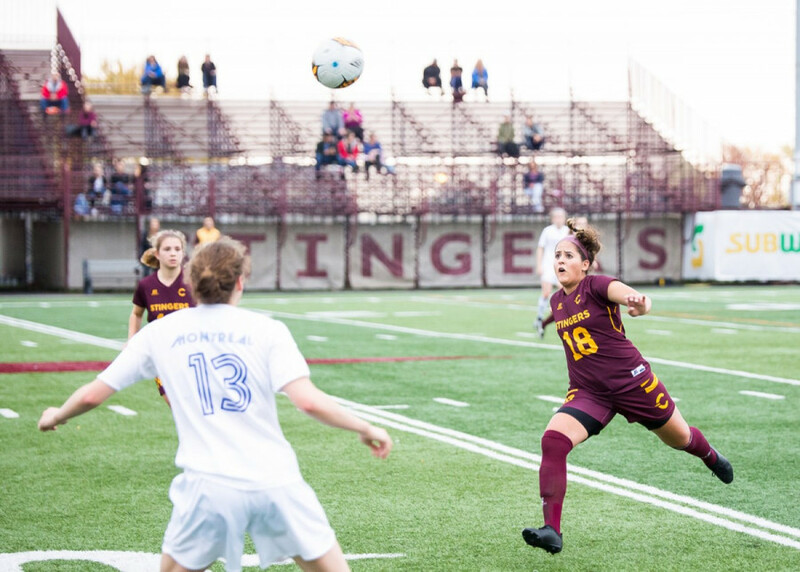 With the race for a playoff spot becoming increasingly contentious, the Concordia Stingers women’s soccer team will be put to the test heading into the last four games for the season. It was a tough weekend for the Stingers. The maroon and gold started it by being held to a 2-2 tie Friday night by the Université du Québec à Montréal Citadins. Most recently, the team lost 4-1 defeat against the Université de Montréal Carabins on Sunday afternoon. The Carabins were on their game against the Stingers. 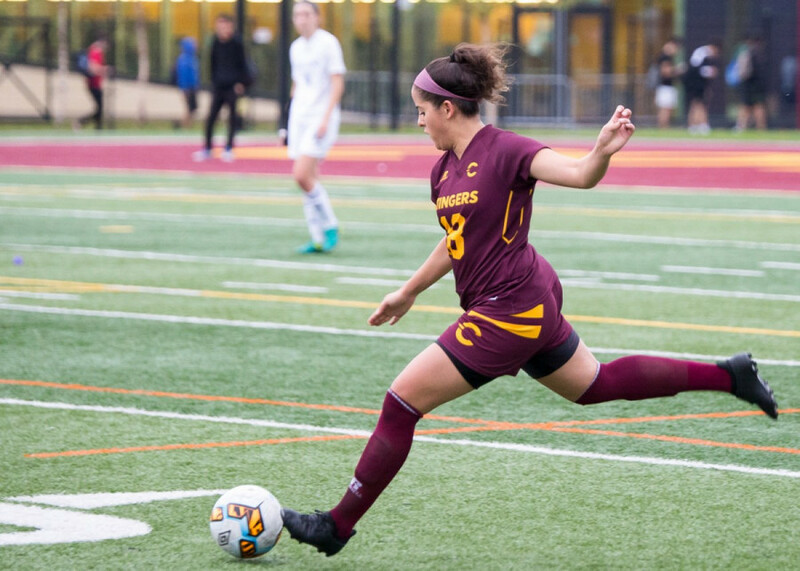 A combination of pace and aggression saw them dominate the Stingers throughout the 90 minutes, leaving little chance for for Concordia to break out on the attack. 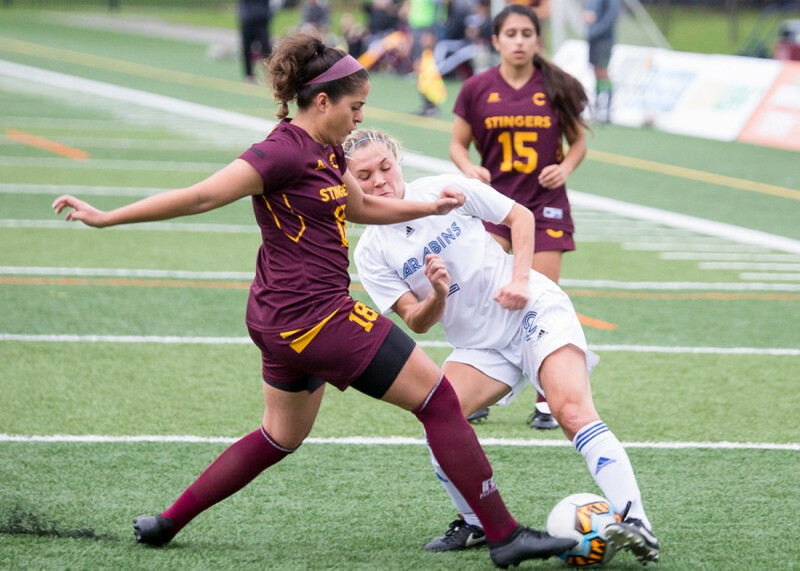 “They’re a very fast team and they pressed really quickly […] so we struggled making decisions quickly,” said Stingers midfielder Laura Lamontagne. After Friday’s game at UQAM, head coach Jorge Sanchez said that Concordia may have spent much of their energy fighting for a point, making last night matchup all the more difficult. Concordia was thoroughly outpaced by the Carabins on Sunday. Aside from their speed on the attack, Montreal’s passing left the stingers scrambling on defence. Taking no more than two touches on the ball, the Carabins selfless style allowed for them to continuously press Concordia in their own zone for most of the match. The Stingers let frustrations get to them in a few moment during the game, resulting a few fouls, outlining Carabins dominance. As it stands, solidifying a playoff berth will make for a competitive tail-end to the season. With Université du Québec à Trois-Rivières Patriotes and UQAM both winning their games, only four points separate third and sixth place. Despite sitting in fifth at the moment, a postseason appearance isn’t out of the question. The Stingers will still fancy their chances for a third or fourth place finish, but it won’t be without competition from the likes of the McGill Martlets, Sherbrooke Vert et Or, UQTR and UQAM. The Stingers will be back in action when they face the Université Laval Rouge et Or Friday night.